Little Village, or South Lawndale as it was formerly known, is an area ripe with culture. Today it is a predominantly Mexican-American neighborhood, but in years past it has been host to ethnic groups such as Italians, Czechs, Irish, Croatians and Slovenians. These days, Little Village is fast becoming a popular neighborhood for young families looking for quality housing at affordable prices. New condominiums and vintage flats are a big draw for first-time homebuyers, while detached homes and brick bungalows catch the eye of families and folks who like a little more space. The neighborhood's strong Hispanic heritage is apparent in the multitude of excellent Mexican restaurants, Spanish-named stores and specialty grocery items you can get here. And there is no doubt Little Village residents take pride in their roots when the Mexican Independence Day Parade comes through each year, serenaded by mariachi bands and a sea of spectators dressed in Mexico's colors – red, white and green. The history of this southwest neighborhood begins long before it was ever known as Little Village. In the late 19th century, the area was settled and developed by Eastern European and Slavic immigrants, many of whom were from Czechoslovakia and Poland. As a part of greater Lawndale, the region that would later be known as Little Village was considered a suburb of Chicago until the whole lot was incorporated into the city in the 1880s. After annexation the neighborhood’s residential sections continued to grow and the territory’s farmland was slowly engulfed into the expanding industrial development that centered about nearby railroad tracks. A number of new jobs emerged with the arrival of manufacturing giants such as Western Electric, McCormick Harvesting Machine Co. (later known as International Harvester) and Sears Roebuck & Company, which all moved into the area within the first few years of the 1900s. In the first half of the 20th century, the population of Poles in greater Lawndale grew steadily, climbing rapidly following the German invasion of Poland in 1939. However, after the 1950s the concentration of Polish inhabitants was displaced by a large contingent of Mexican immigrants that moved to Chicago in search of work. Mexican families had originally settled in neighboring Pilsen, but many were forced to move west when the massive construction project to establish the University of Illinois Chicago’s campus took over much of the vicinity, causing many residents to relocate to Lawndale and surrounding areas. Eventually, the significant group of residents with Mexican roots inspired a split from the rest of Lawndale, creating an independent and viable neighborhood all its own. Like a little Mexican village—La Villita or Little Village. Bisecting the community now known as Little Village, 26th Street has emerged as the main commercial district and the most important thoroughfare in the neighborhood. It has seen a considerable amount of growth in the past thirty years, which has given this southwest side site a strong and prosperous base for even more development in the decades to come. These days, Little Village has the largest concentration of Mexican-Americans in the city and it remains a colorful neighborhood with a thoroughly Mexican population. Unlike Pilsen, which is beginning to see gentrification from the east with the ongoing expansion of UIC and the westward development of the South Loop, Little Village has been relatively unaffected by gentrification and holds on to its distinct cultural flavor. Boundaries: Ogden Avenue and Cermak Road to the north, Western Avenue to the east, the Stevenson Expressway (I-55) to the south and Kilbourn Avenue to the west. 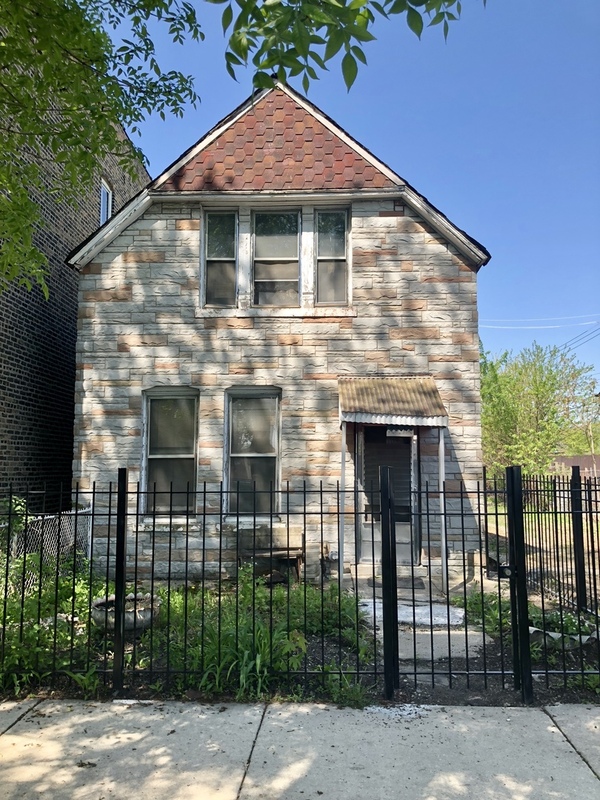 As in other parts of the city, Little Village has seen a recent increase in the number of old wood-framed homes that are being razed in favor of three-story, eight-unit brick condominium conversions. 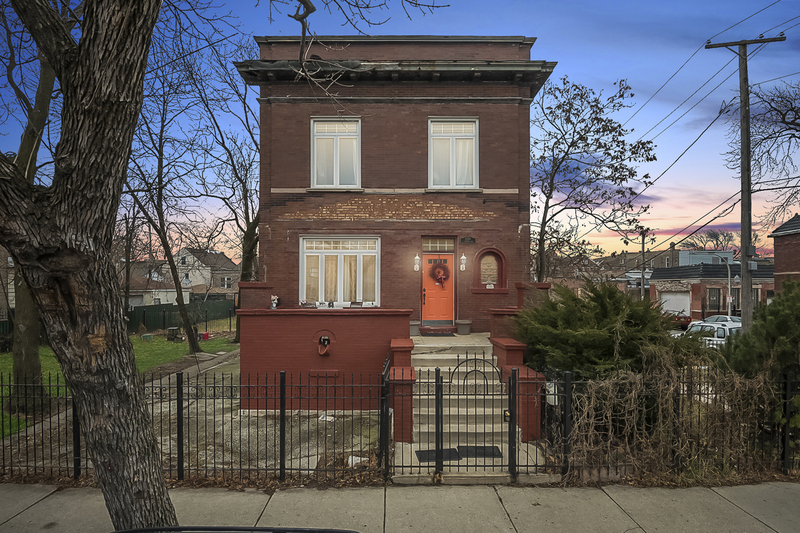 However, the pace has yet to equal that of hotter residential real estate neighborhoods such as Humboldt Park and Logan Square. 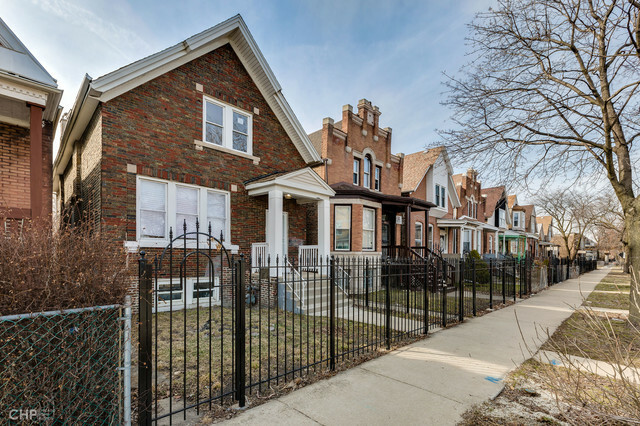 For now, the housing in Little Village is predominately two-flats, condominium conversions, new-construction townhomes, and single-family frame houses and bungalows. The side streets away from bustling 26th Street tend to be quiet, and many of the homes have well-tended lawns that are not only attractive, but inviting. There is an abundance of parks in the neighborhood, and California Boulevard has a beautiful expanse of maple and ash trees providing welcome shade in the summer and an intricate web of pristine snow-covered branches in the winter. 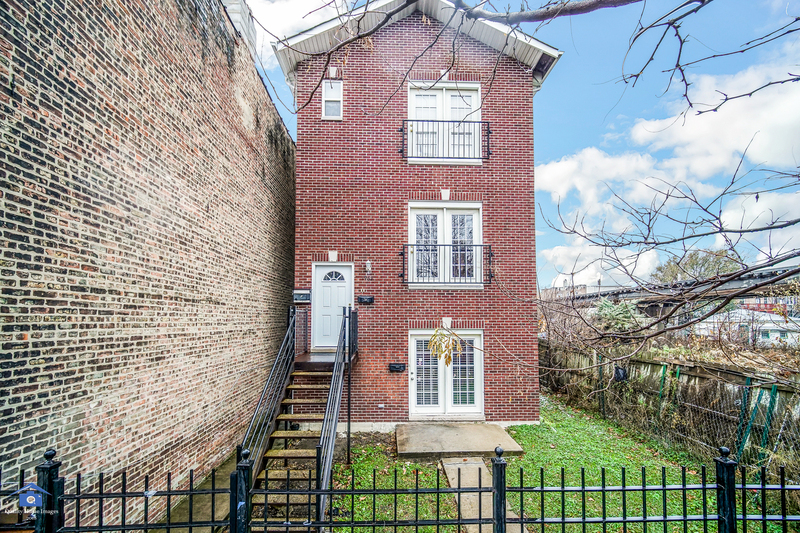 The average sales price for a condominium or multi-unit home with two- or three-bedrooms in Little Village is about $157,000. While there are a good number of condos and townhomes in the neighborhood, the streets are dominated by detached single-family dwellings. 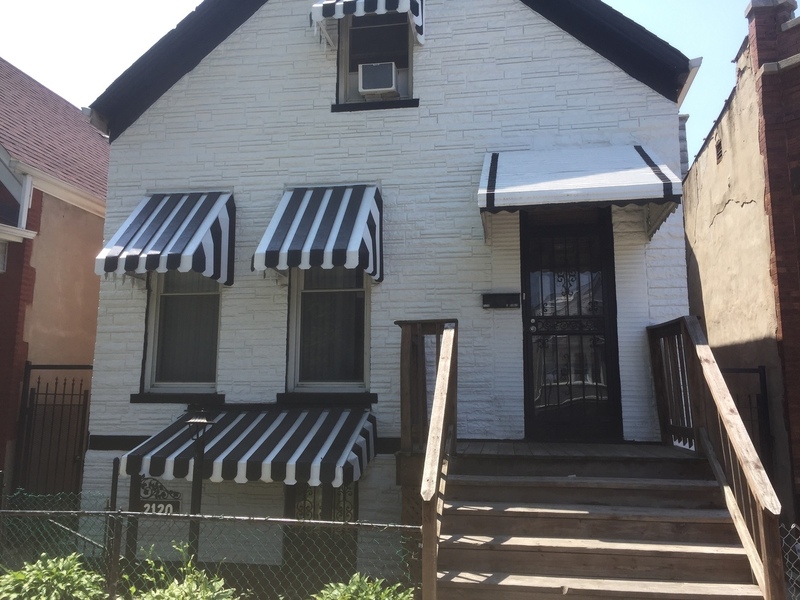 Generally speaking, the sales price for a three-bedroom house in Little Village is around $190,000, however many properties are available for less than $150,000 and quite a few sell for between $200,000 and $250,000. The average sale price of a home in Little Village is represented by the chart to the right. The red line indicates the average price based on the total time frame selected in the drop-down window. The blue line indicates the average sale price for the particular month within that time frame. For more detailed information on Little Village sign up for the trends report below or contact your Dream Town broker. The average number of days a home in Little Village spends listed for sale is represented by the chart to the right. The red line indicates the average number of days based on the total time frame selected in the drop-down window. The blue line indicates the average number of days a home spent on market during the particular month within that time frame. For more detailed information on average market listing times in Little Village sign up for the trends report below or contact your Dream Town broker. The average sale price of a home compared to its listing price in Little Village is represented by the chart to the right. The black line indicates the baseline listing price for homes during the time frame selected in the drop-down. The red line indicates the difference between the average listing price and the average sale price during the particular month within that time frame. For more detailed information on Little Village sign up for the trends report below or contact your Dream Town broker. The total number of listings in Little Village is represented in the chart to the right. The red line represents average number of days based on the total time frame selected in the drop-down window The blue bar represents the current number of listings during the particular month of that time frame. For more detailed information on Little Village sign up for the trends report below or contact your Dream Town broker.